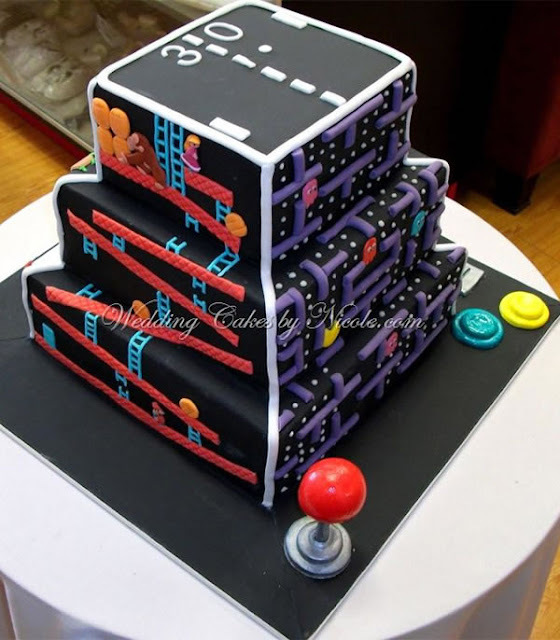 3-D Monster: Epic Retro Gamer Cake! When 30-year-old Stephen got married, he wanted a wedding cake based on old school games. Australian cake maker Nicole stepped up to the console and delivered! Although, I think black frosting is way gross!